The ultimate in luxury! 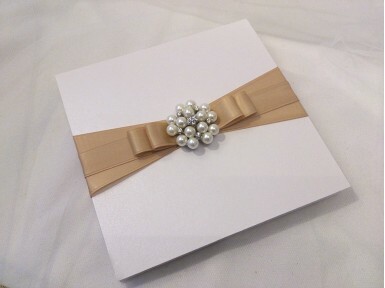 The Caspia features a large pearl and diamante charm on top of double sided satin ribbon. A variety of ribbon colours are available. 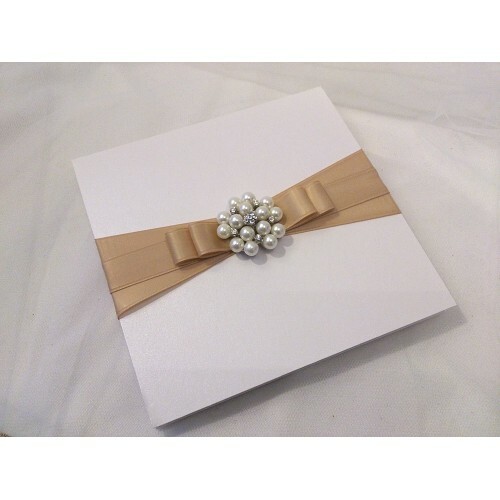 This design comes in white or ivory pearlesent pocketfold.